Games that are based on stories often manage to gather interest of the players. You really want to see the end of the game when you have a mission which is not possible in the popular endless running games. 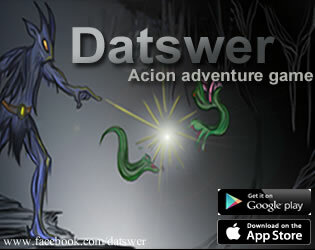 One such game is Datswer which is an action and puzzle game where you will not only have to use your fingers but also your brain. Datswer is a statue which came to life as some drops of magical liquid fell on it. it is a statue in the dark cave and now he has to exit the cave in order to save his life. You are going to help it find its way out.